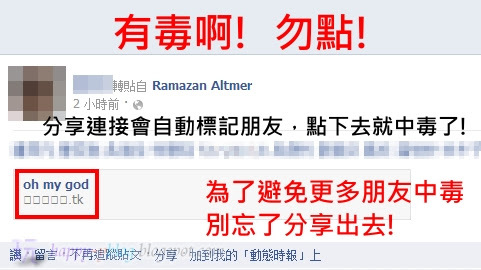 玩樂家 | 3/04/2013 | Facebook(臉書) | FB惡意程式 | FB詐騙病毒 Be the first to comment! 玩樂家 | 3/04/2013 | Google Logo Be the first to comment! 今天3/4是南非女歌手 "非洲媽媽"（Mama Africa） Miriam Makeba 81歲誕辰， Miriam Makeba是南非著名歌手，演唱生涯超過40多年，畢生投入音樂與人權運動，是種族隔離政策的反對者，同時也投入人道工作中，如擔任聯合國大使、創辦兒童音樂庇護恢復中心等等，所以被尊稱為Miriam Makeba被尊稱為 "非洲媽媽" （Mama Africa）。今天是她的81歲誕辰，我們來聽聽感動 Miriam Makeba非洲大陸的天籟吧! 玩樂家 | 3/01/2013 | word文書處理 Be the first to comment!